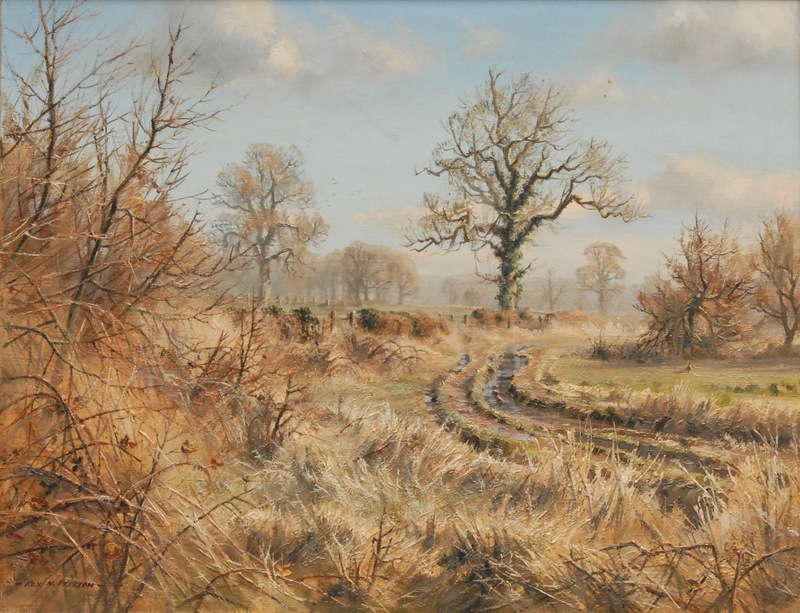 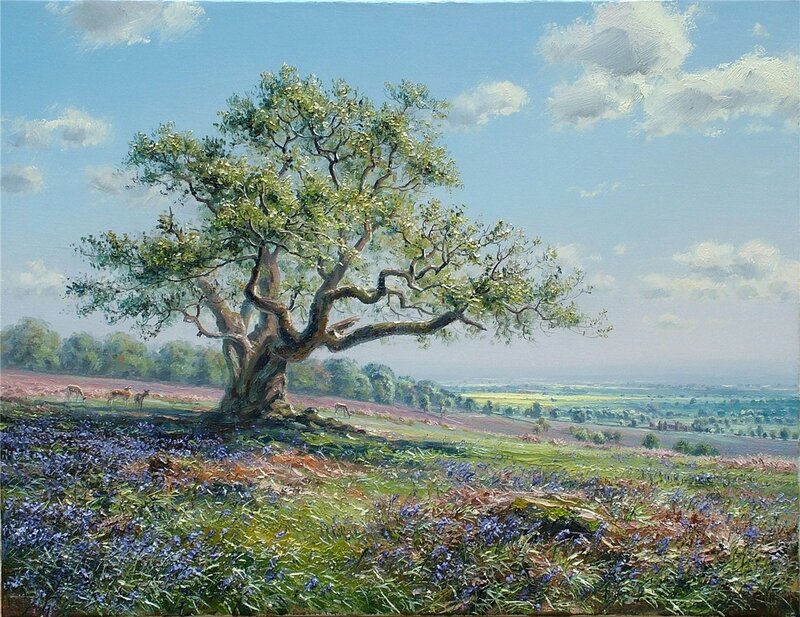 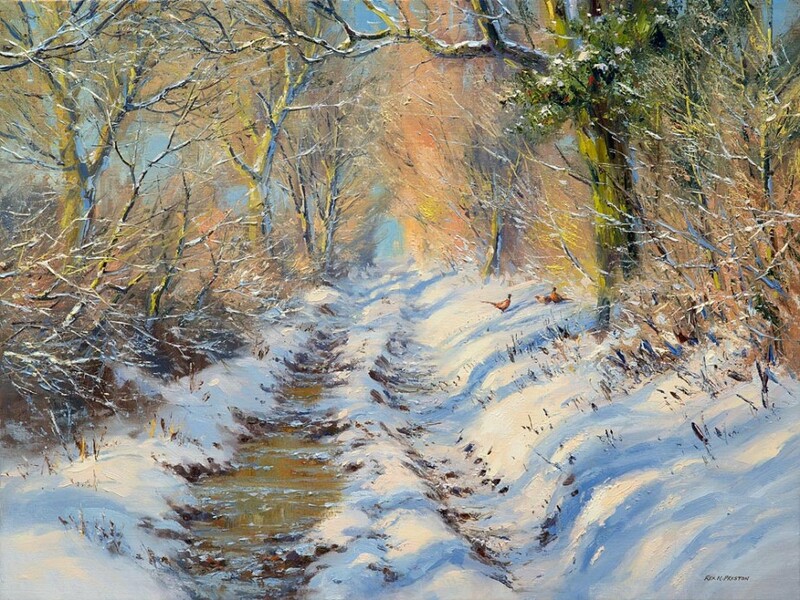 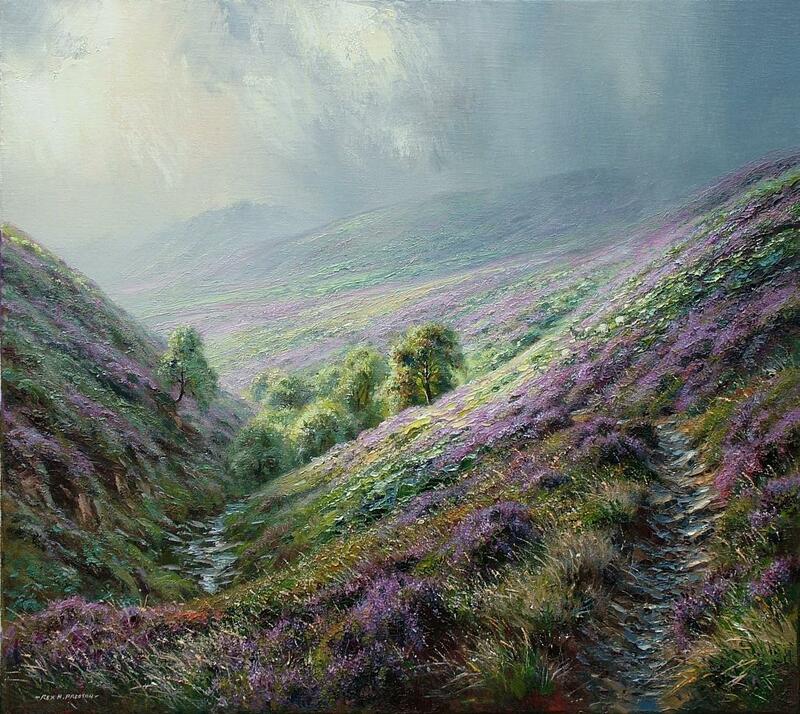 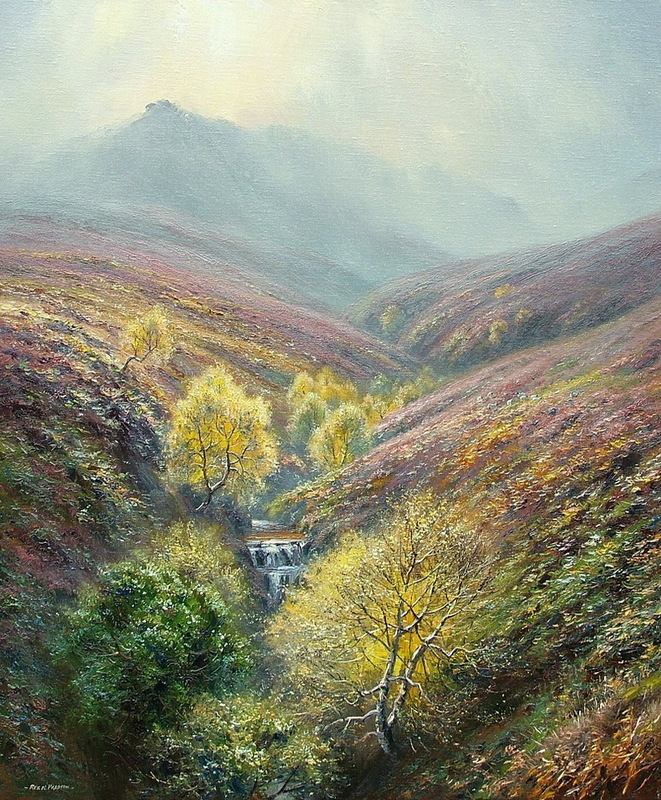 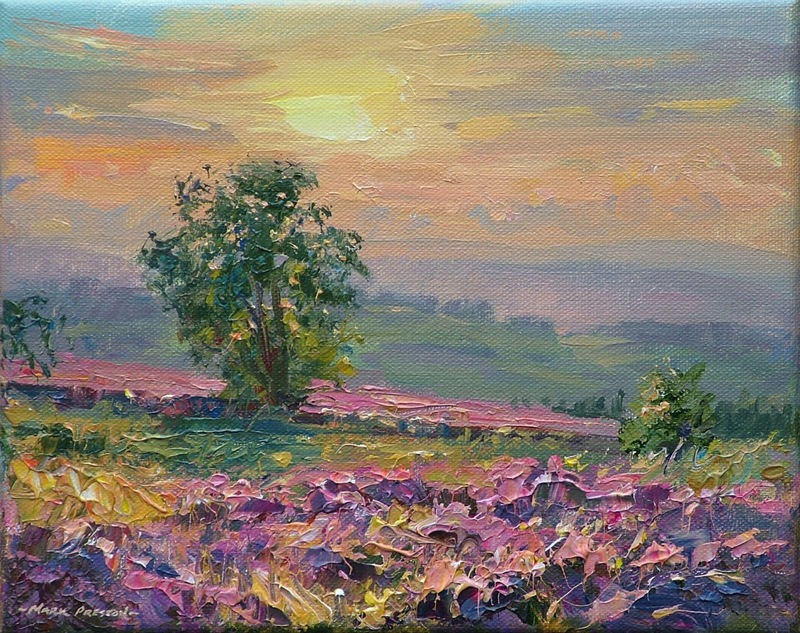 Born in Yardley, Birmingham, Rex Preston is one of Britain's leading landscape artists. 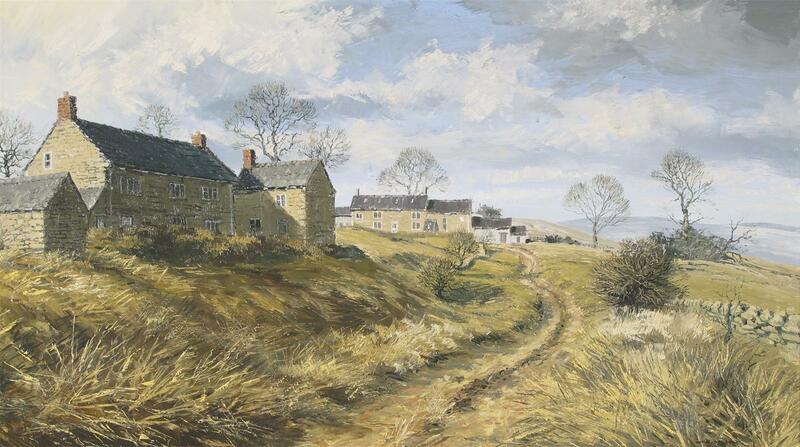 He trained at Newcastle under Lyme School of Art and then Derby College of Art. 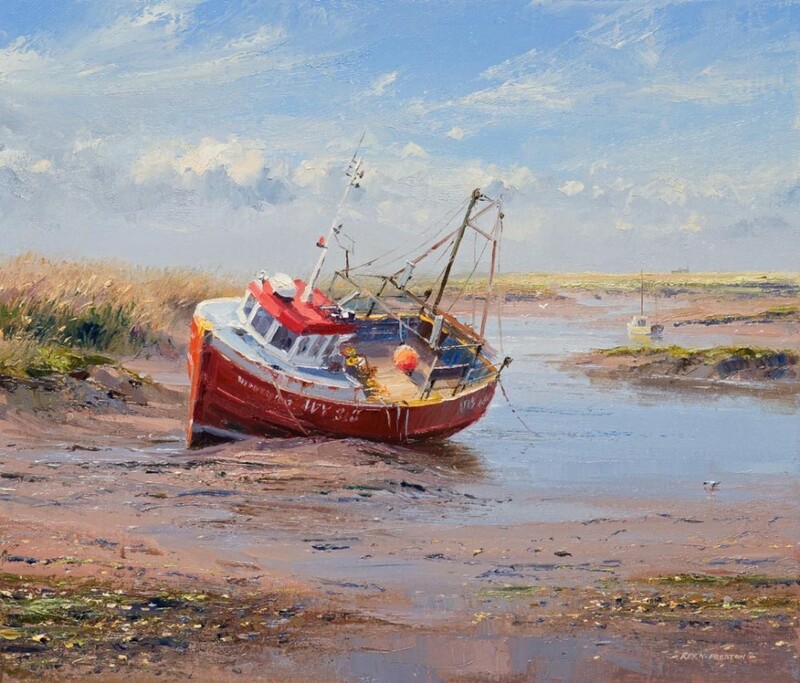 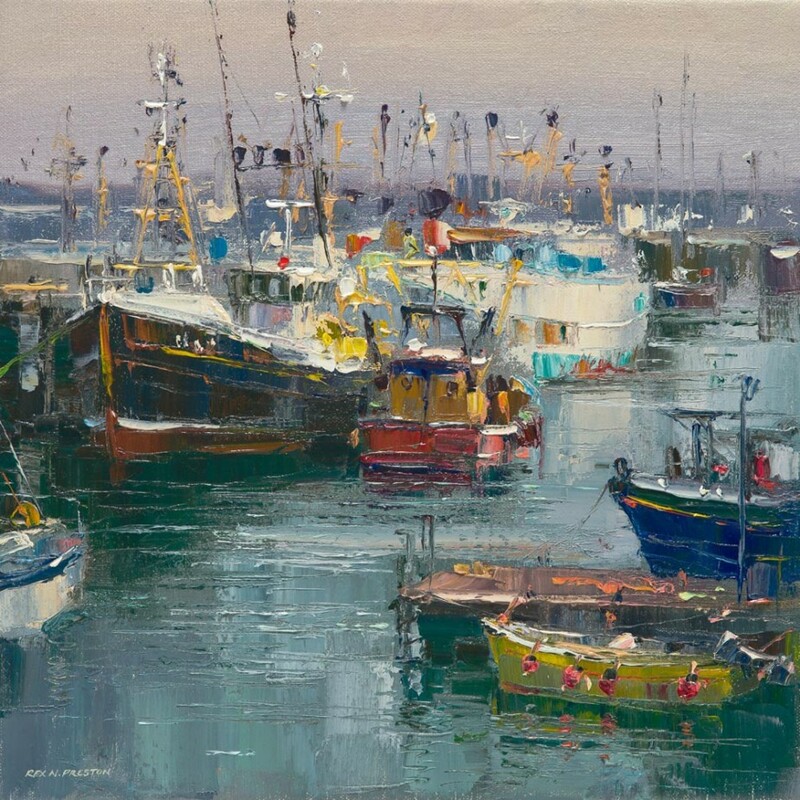 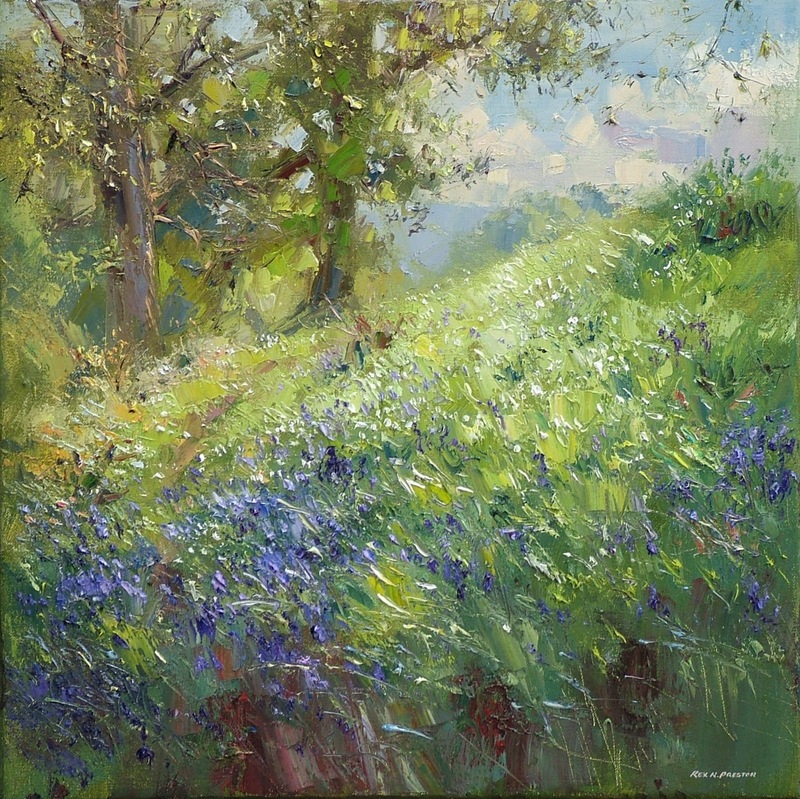 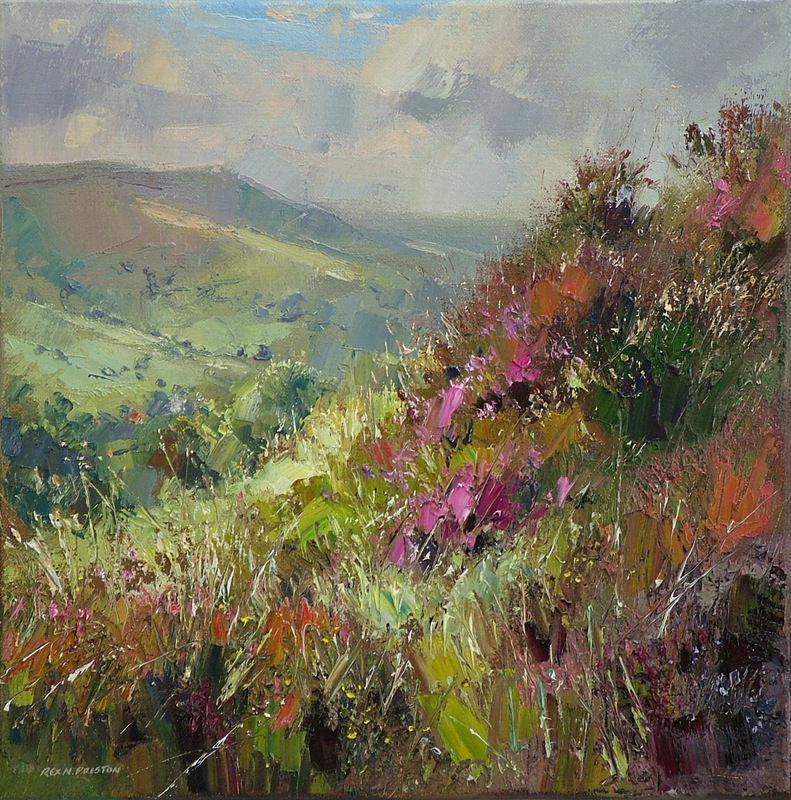 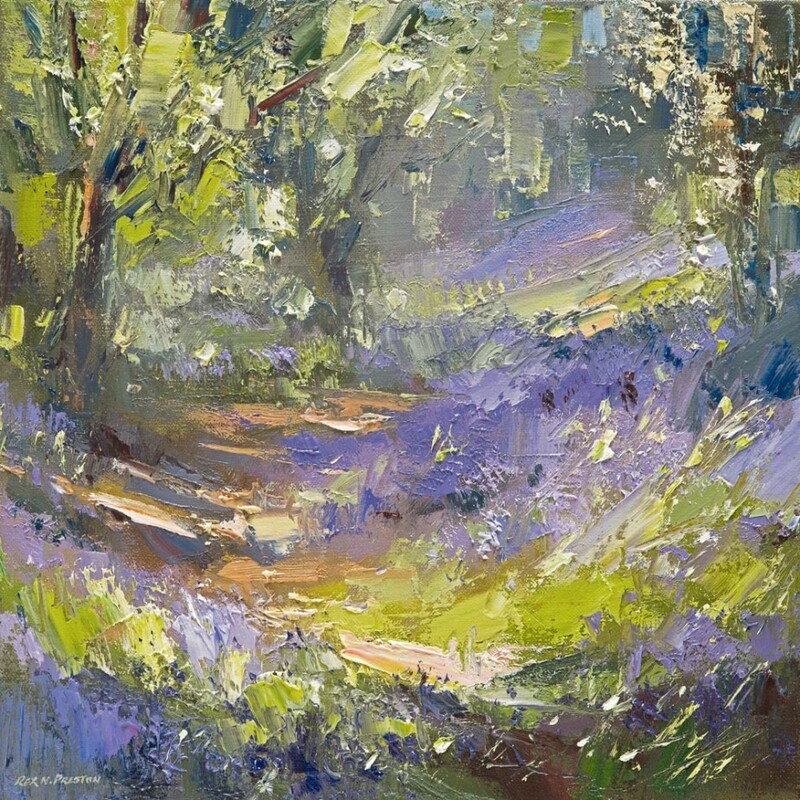 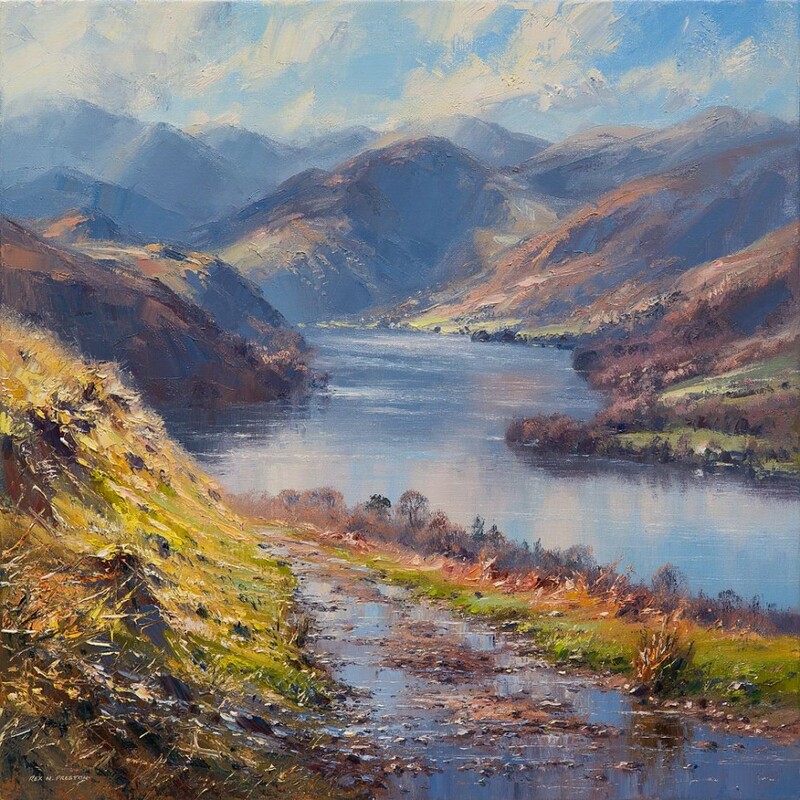 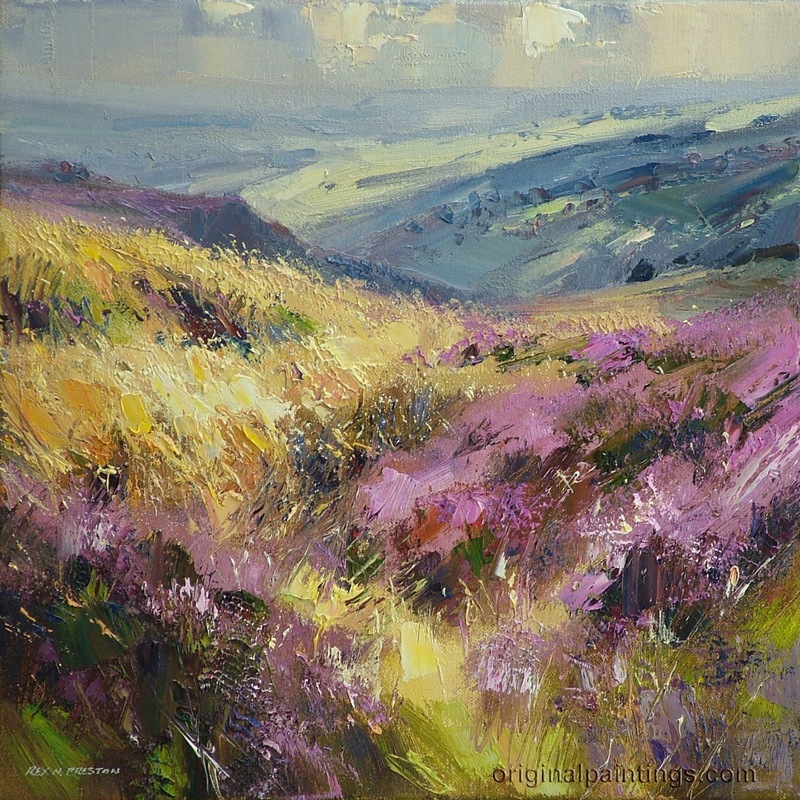 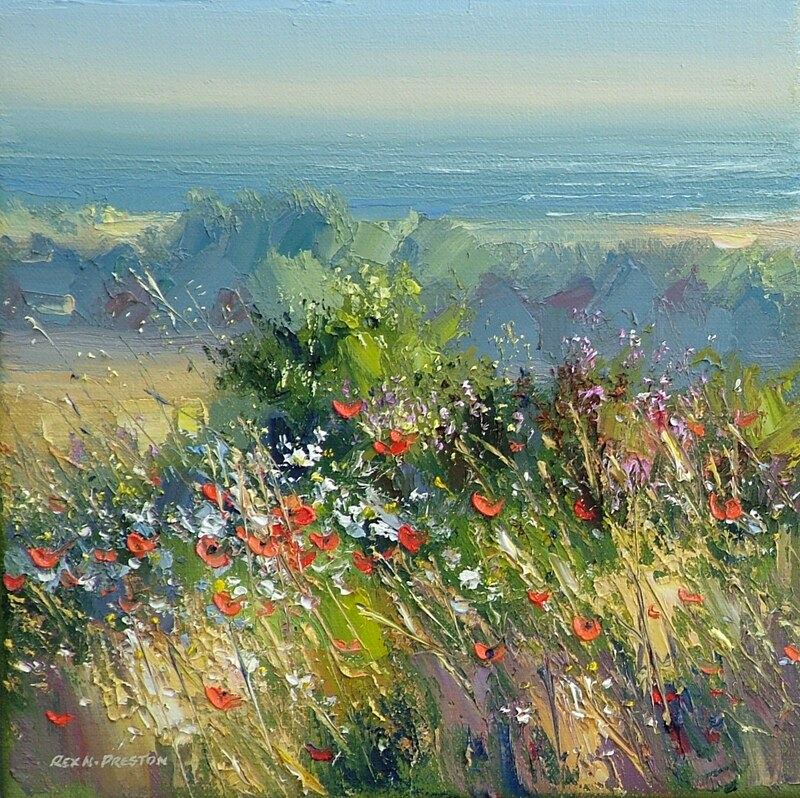 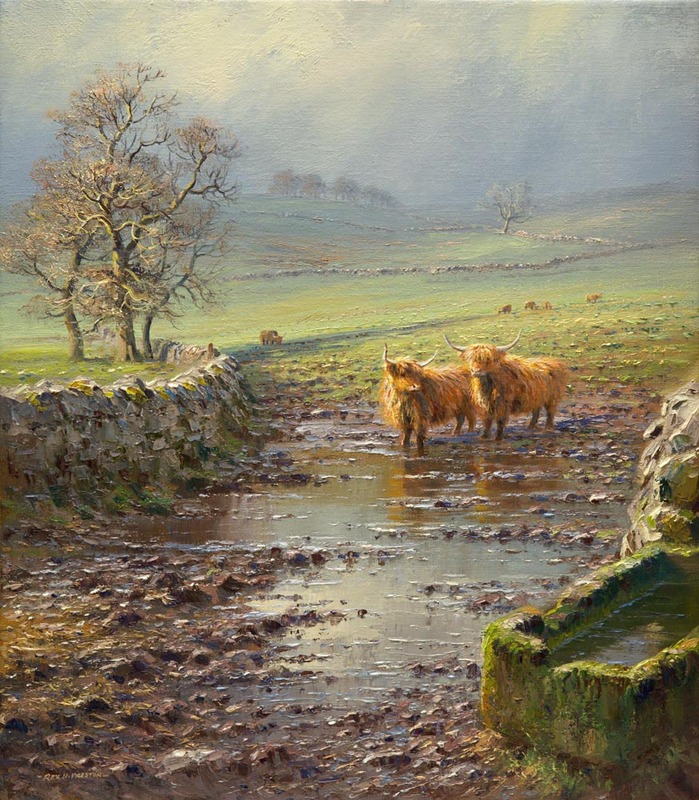 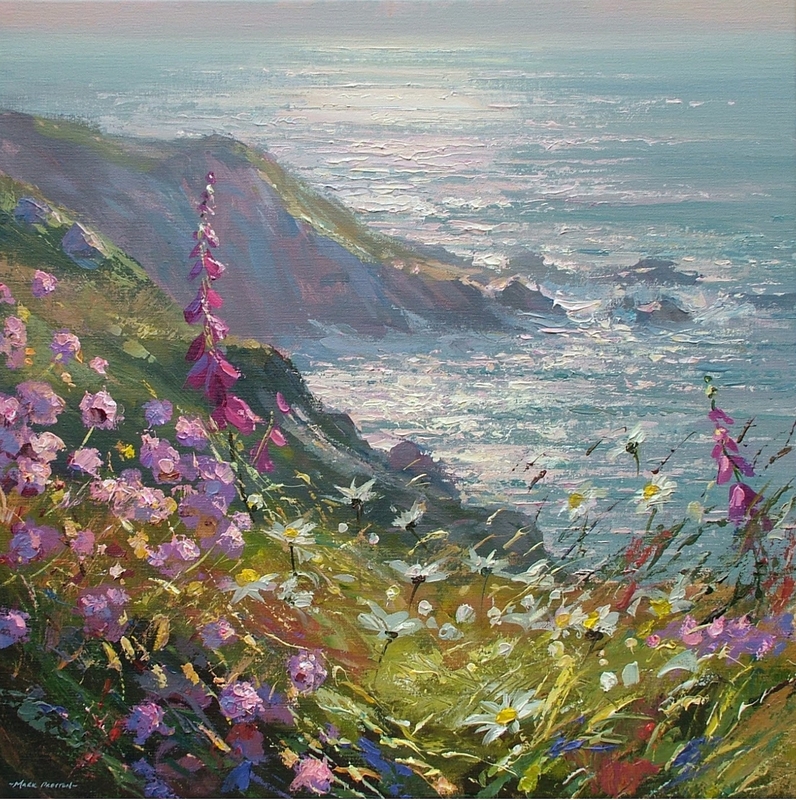 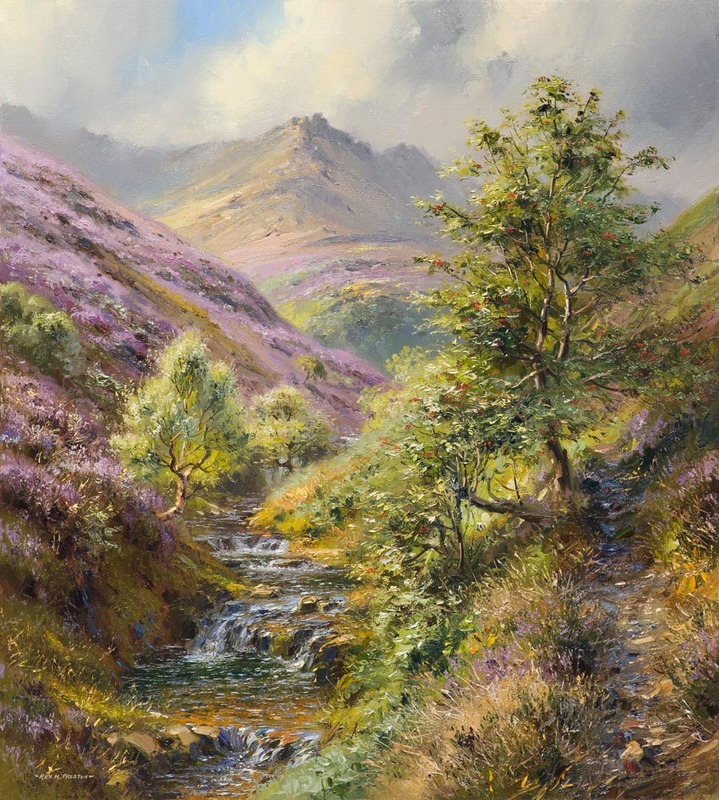 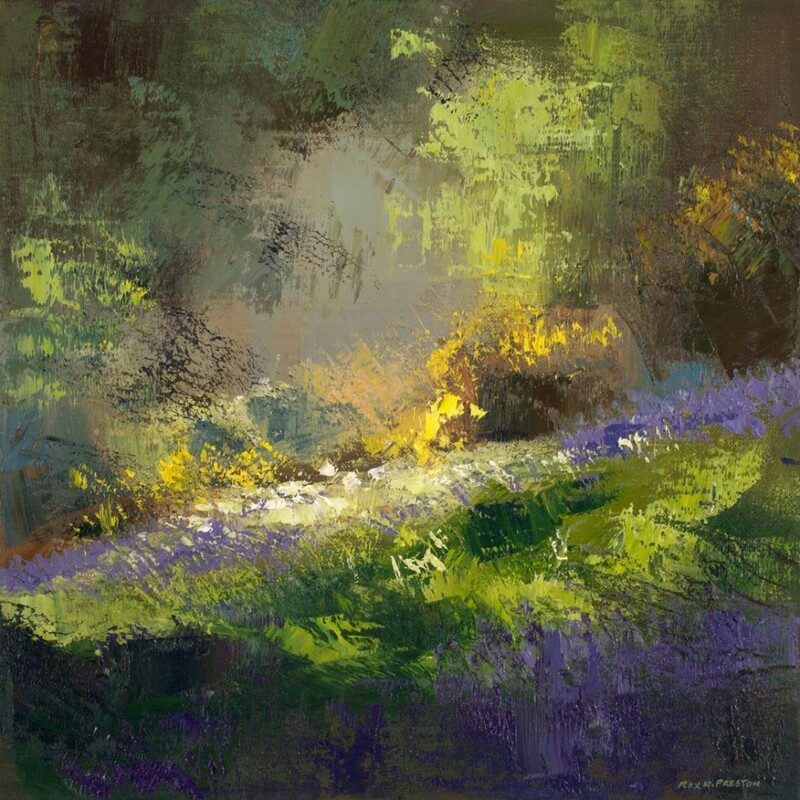 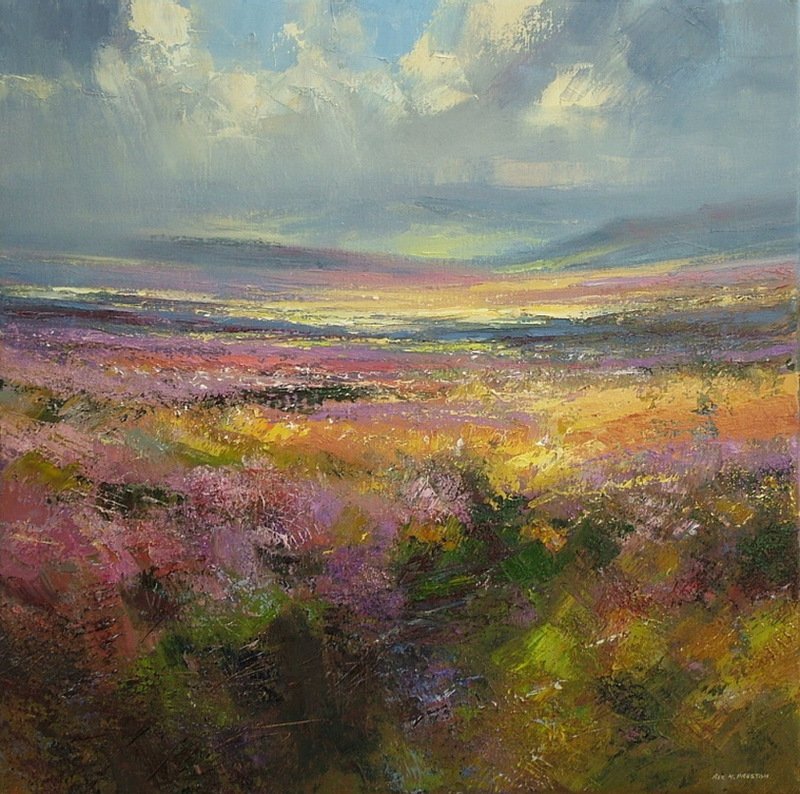 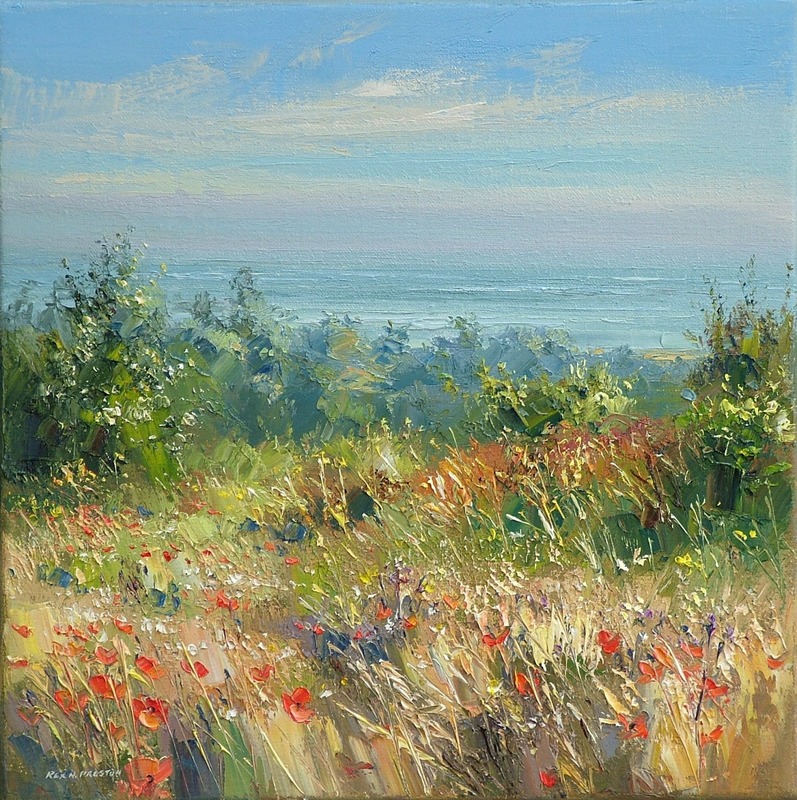 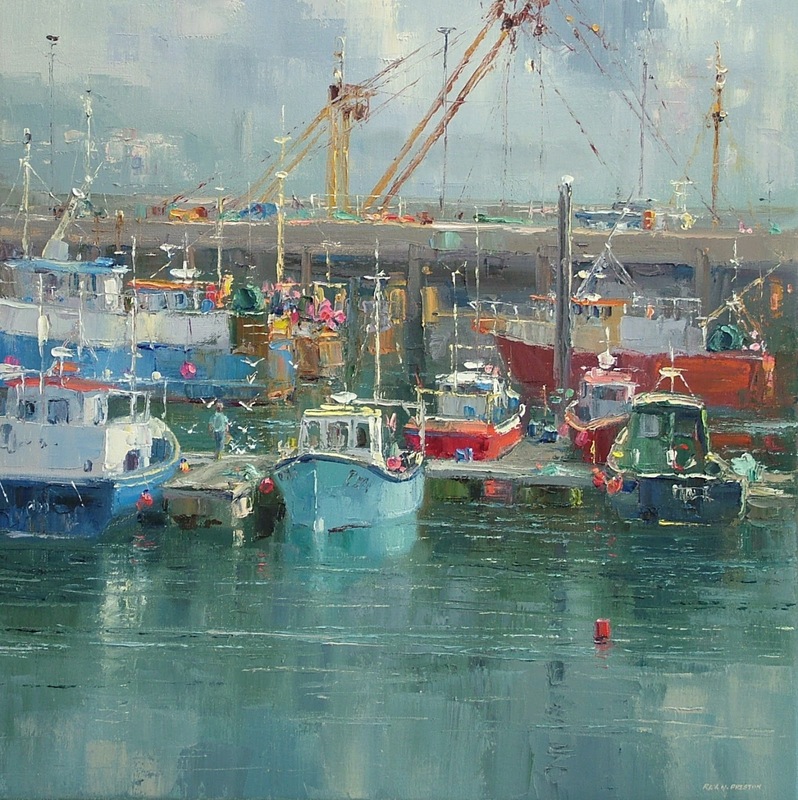 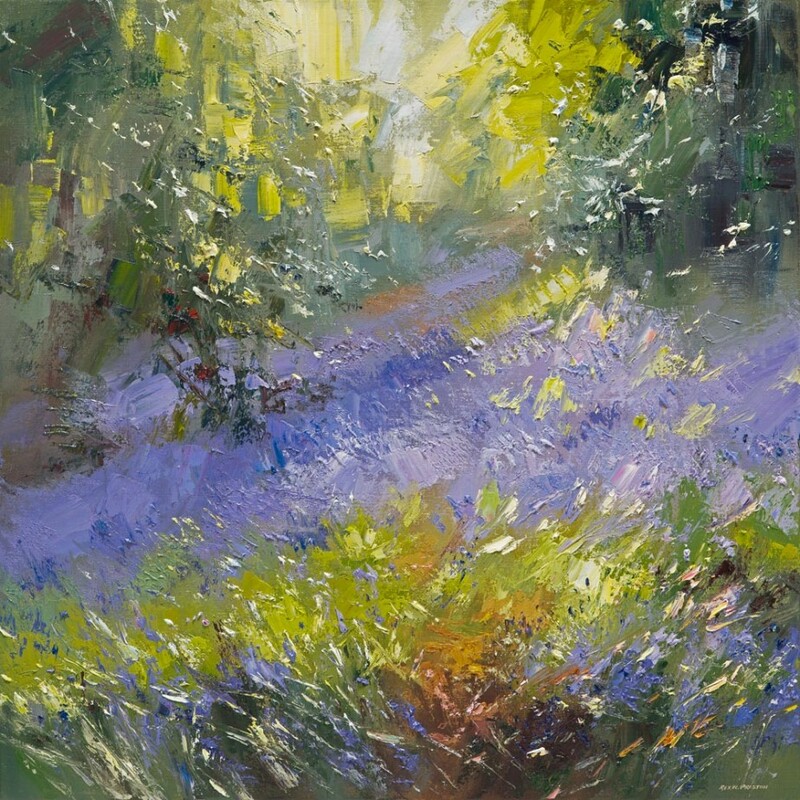 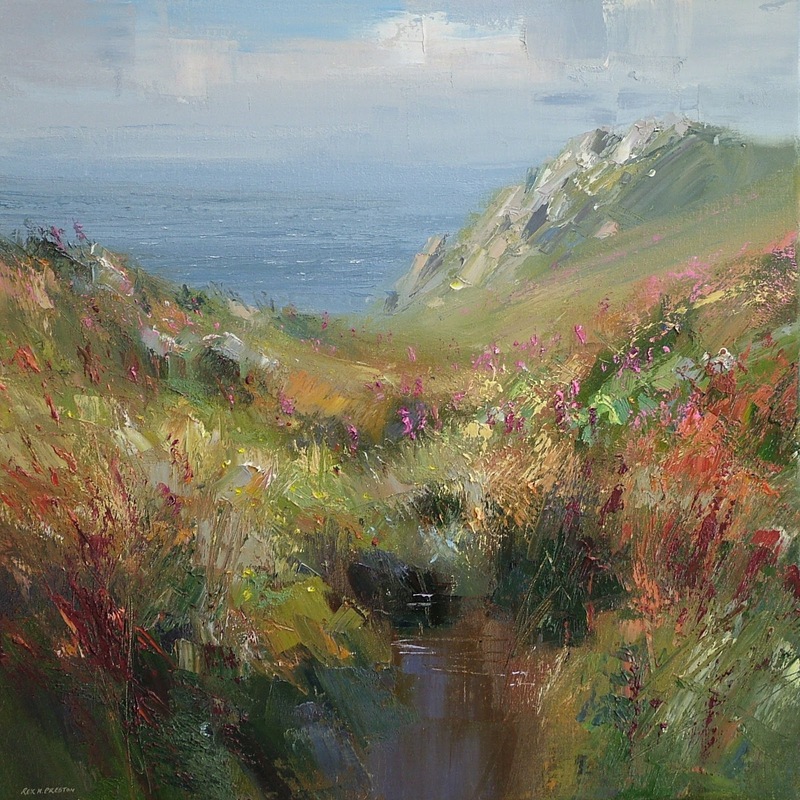 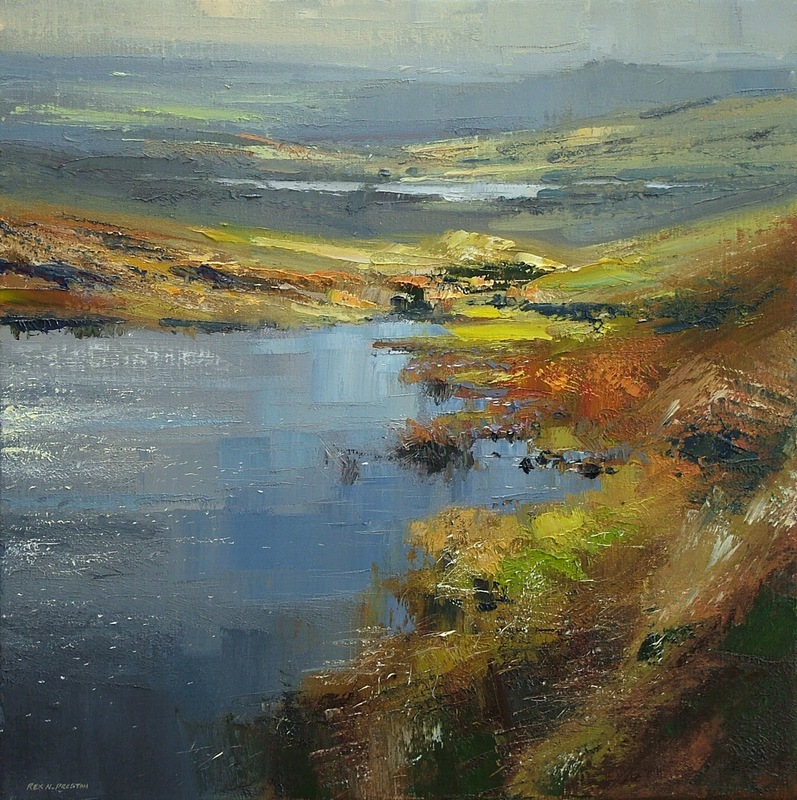 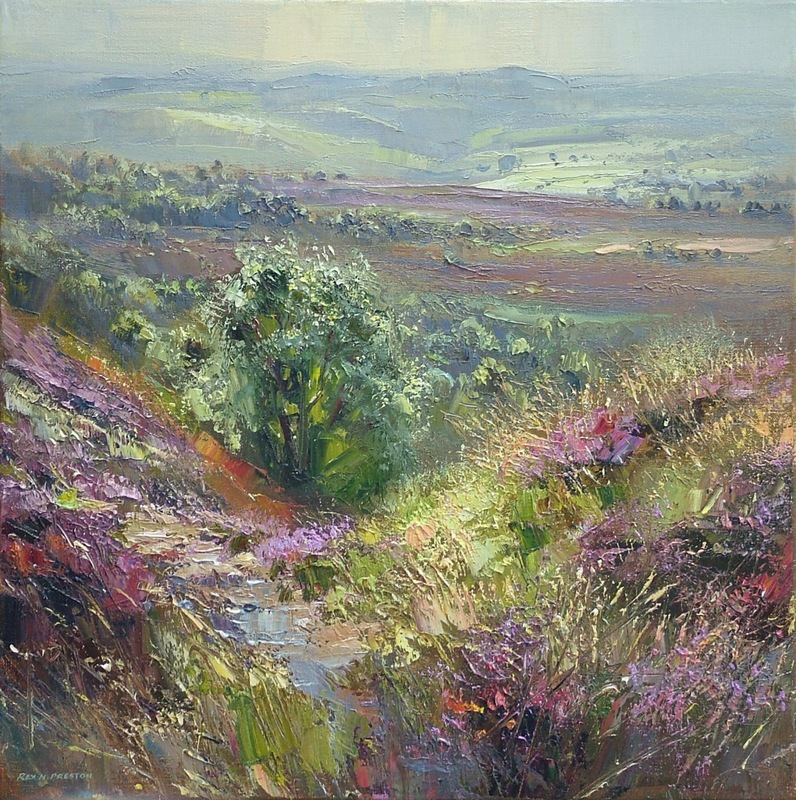 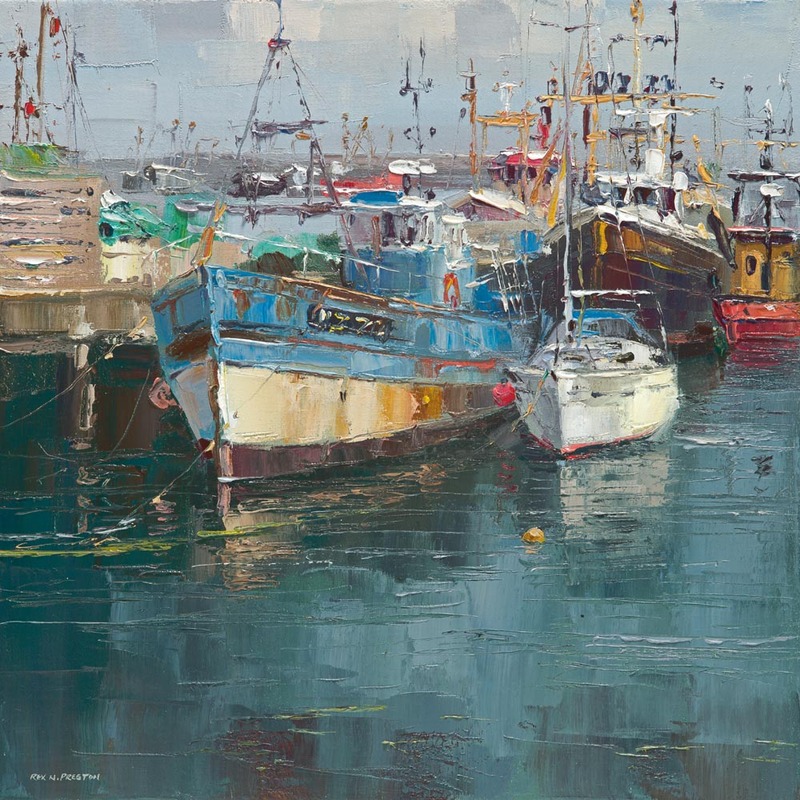 Rex Preston has lived in Derbyshire for most of his life and although his home area of the Peak District and Pennines has exerted a huge influence on his painting, he travels the country searching for favourite subjects like Cornwall or the Lake District. 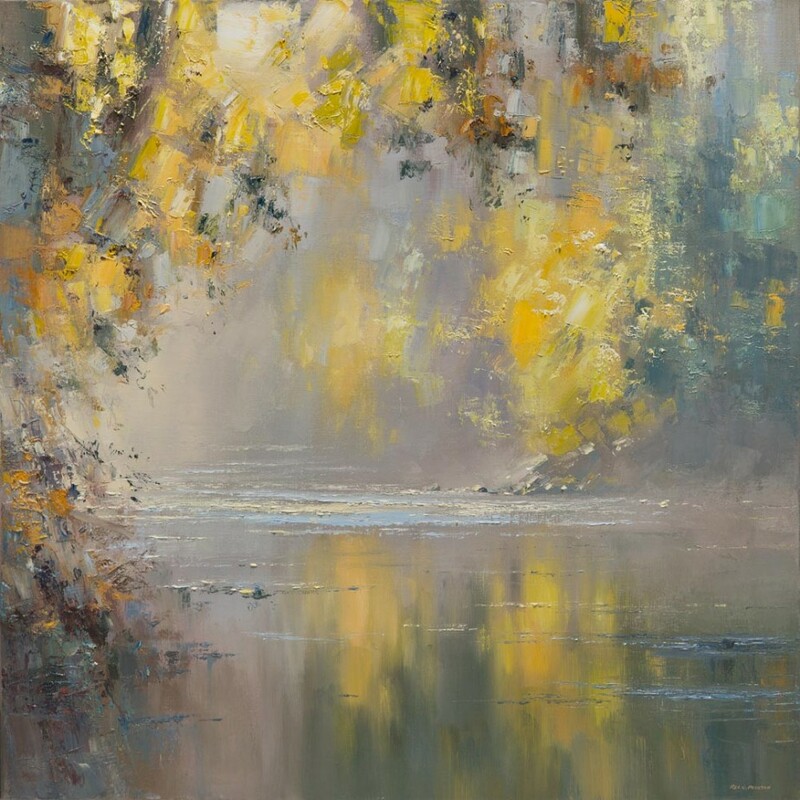 Working principally in oil, Rex Preston began painting professionally in 1969. 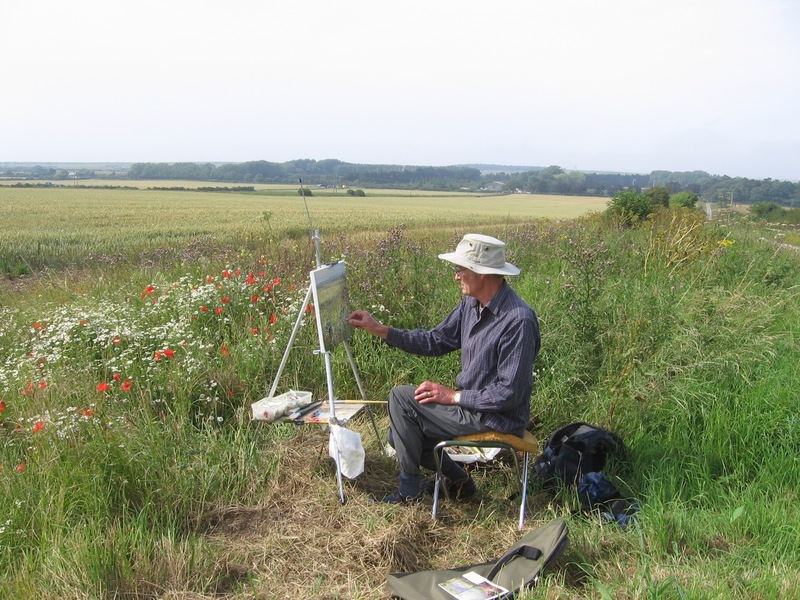 He loves to walk with his sketchbook and loves the more remote areas. 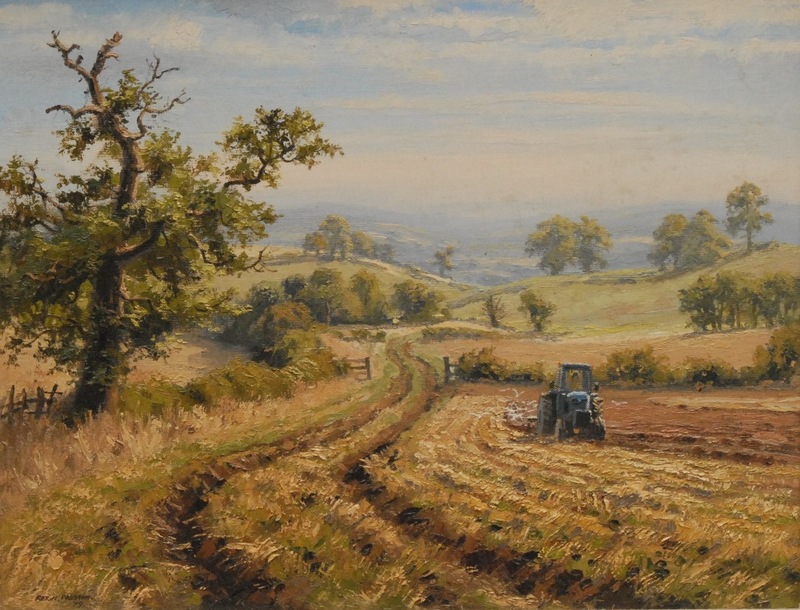 I spend as much time as possible out in the countryside looking for subjects. 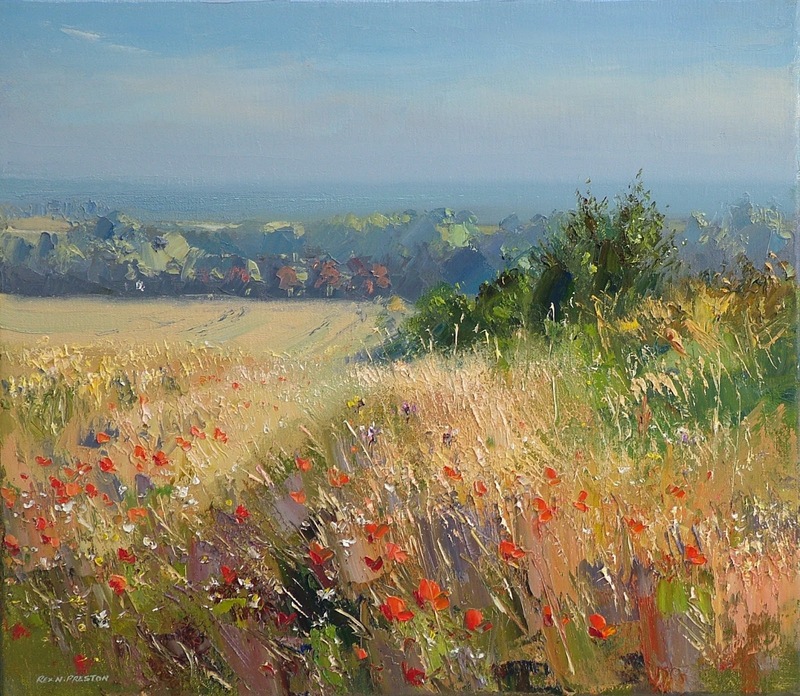 When the weather allows, I paint on location and just walk until something catches my eye. 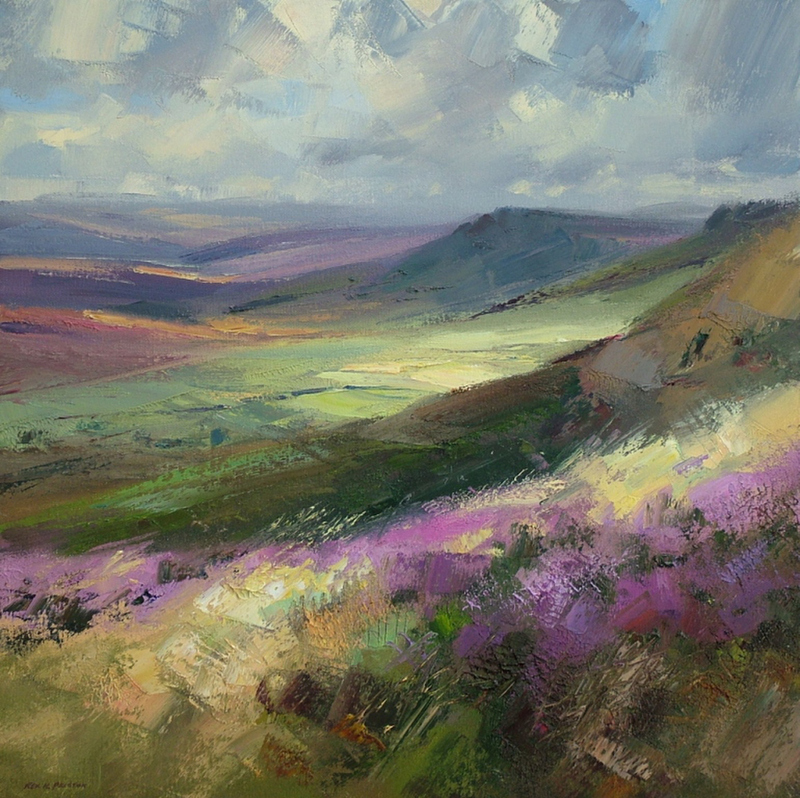 Sketching is also very useful to record fleeting light effects and atmosphere. 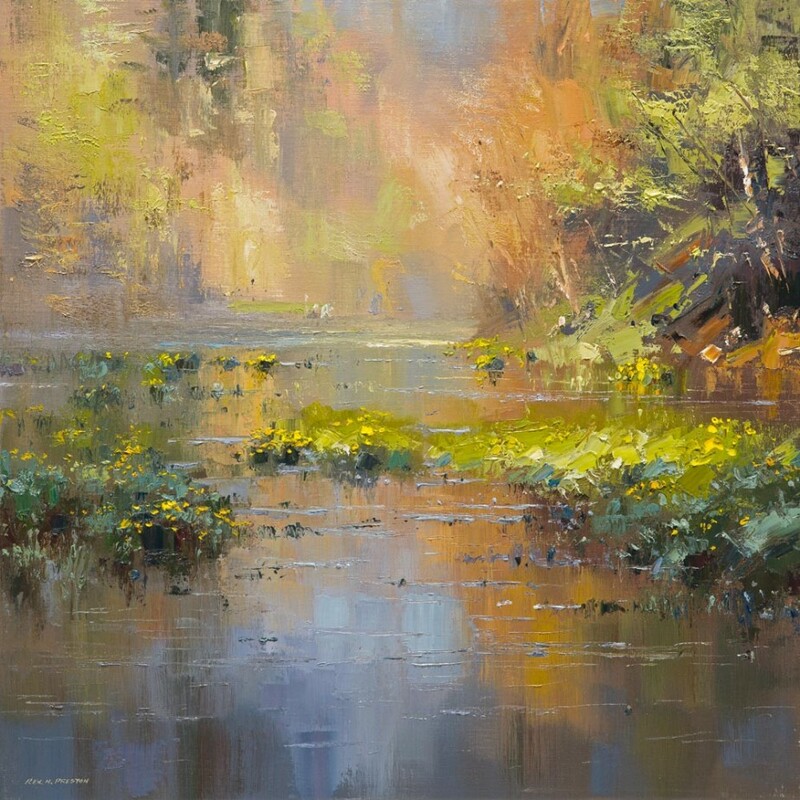 In the past few years Rex Preston has had much success with his abstracted landscapes. 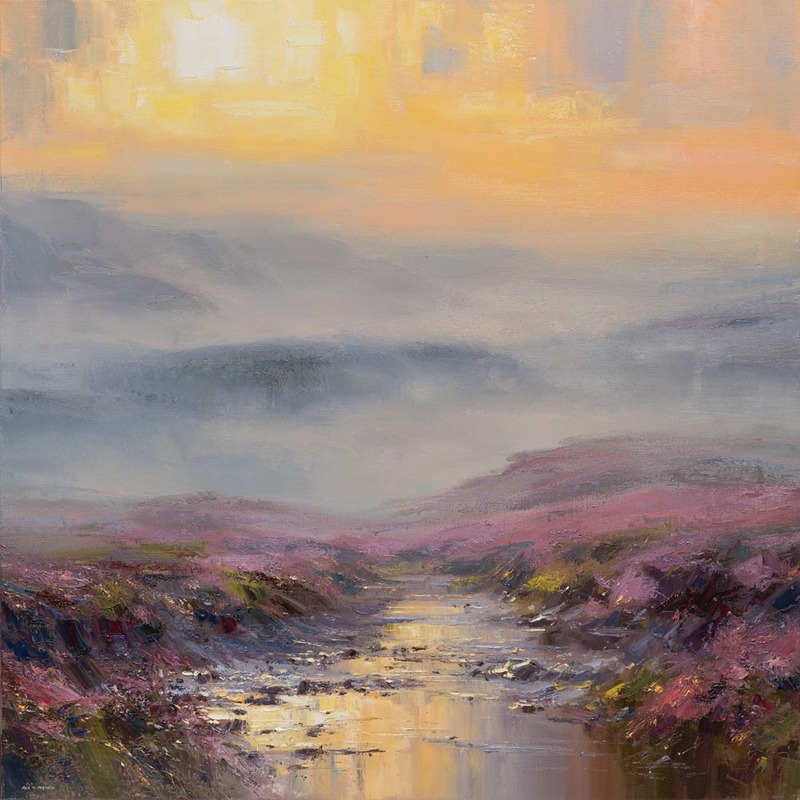 These more abstract paintings use all the same skills as his more traditional landscapes, but focus on the mood and colour in a subject rather than detail. 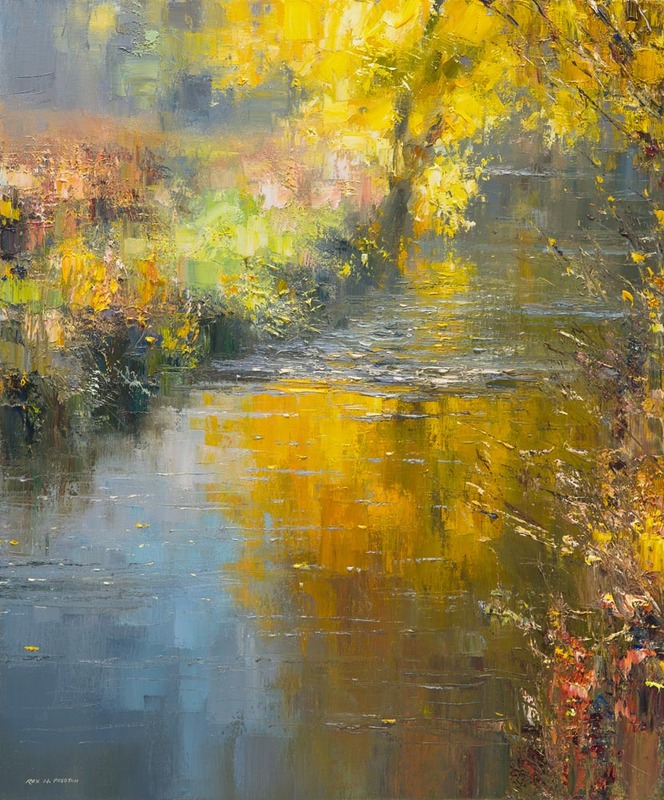 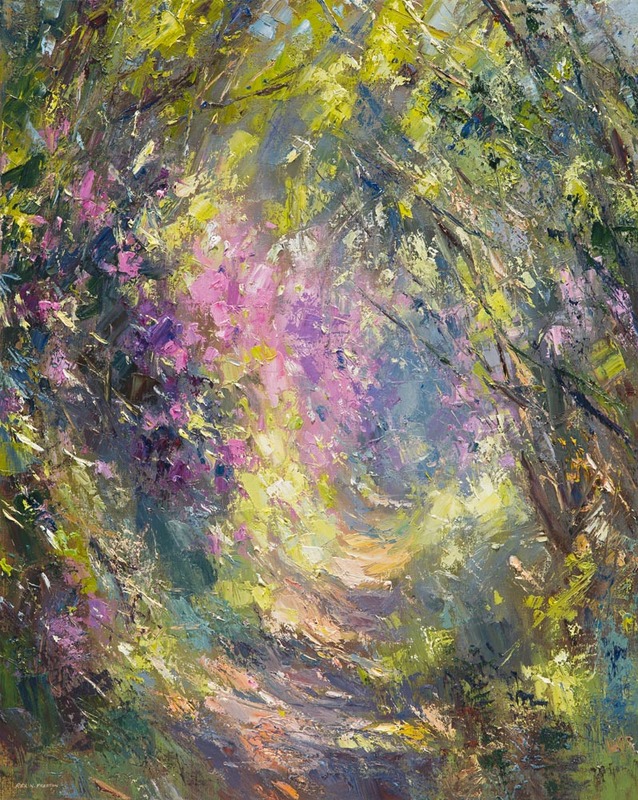 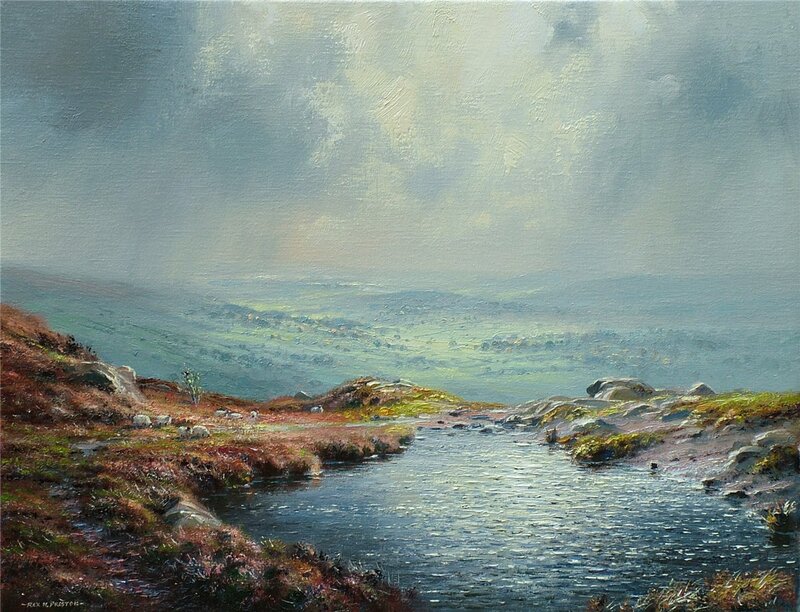 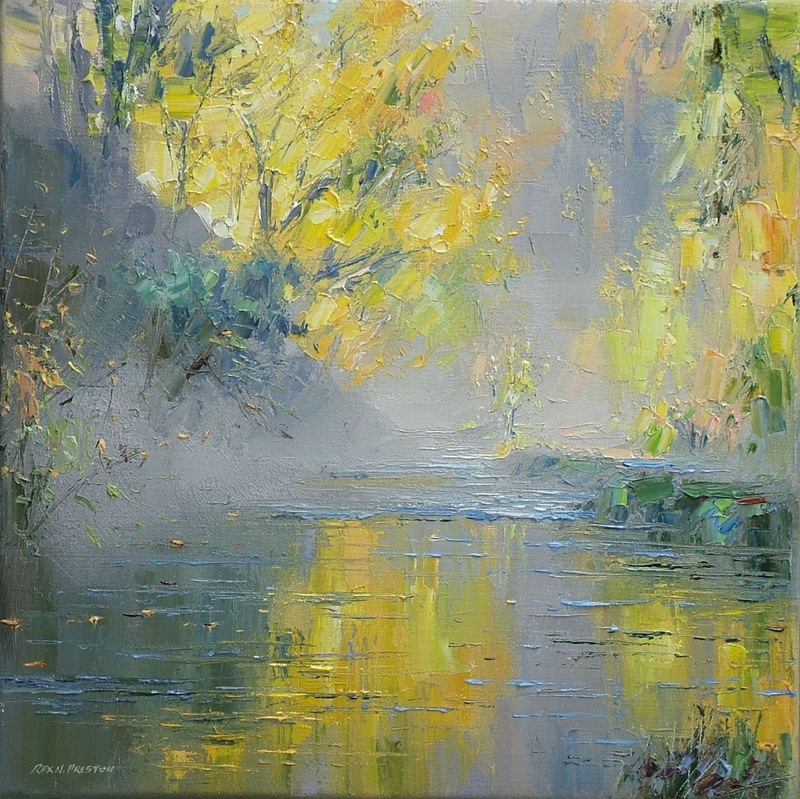 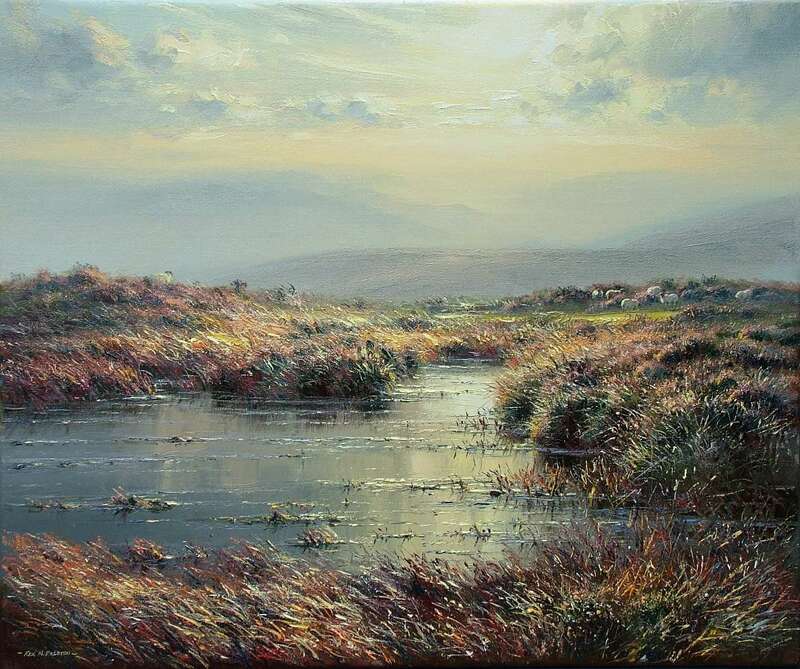 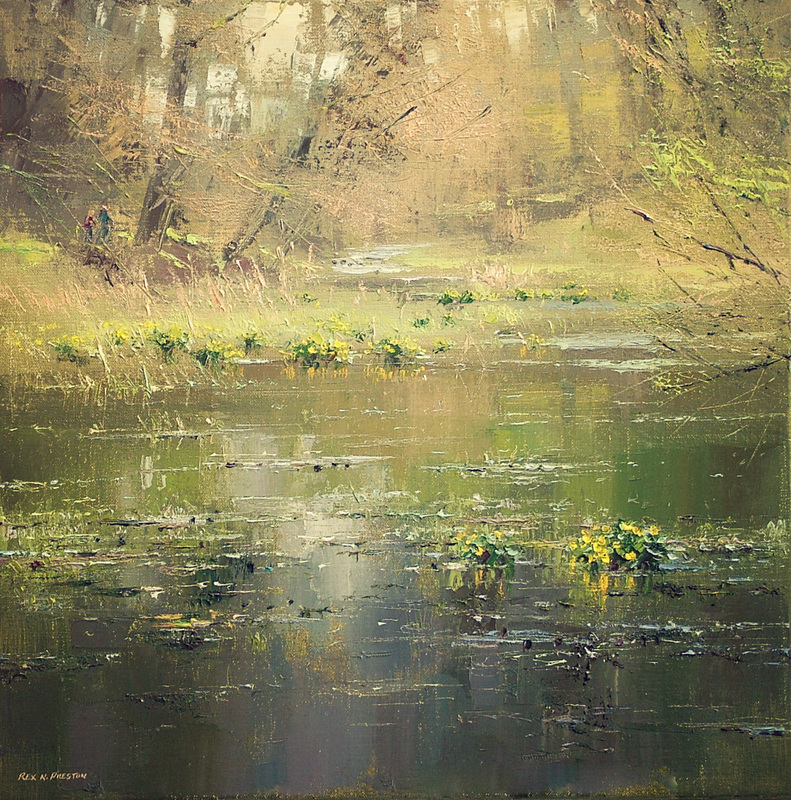 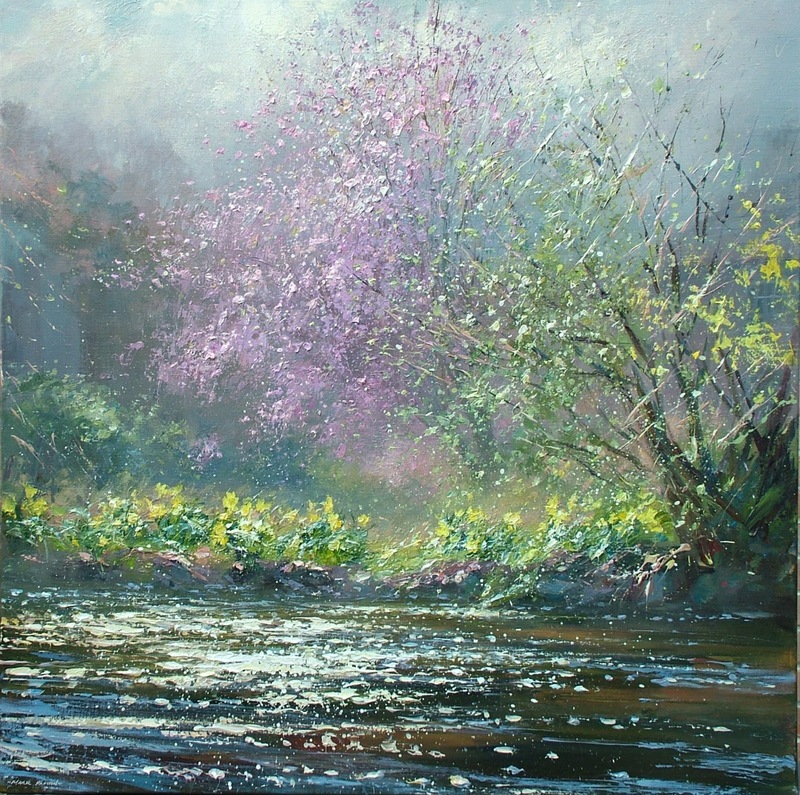 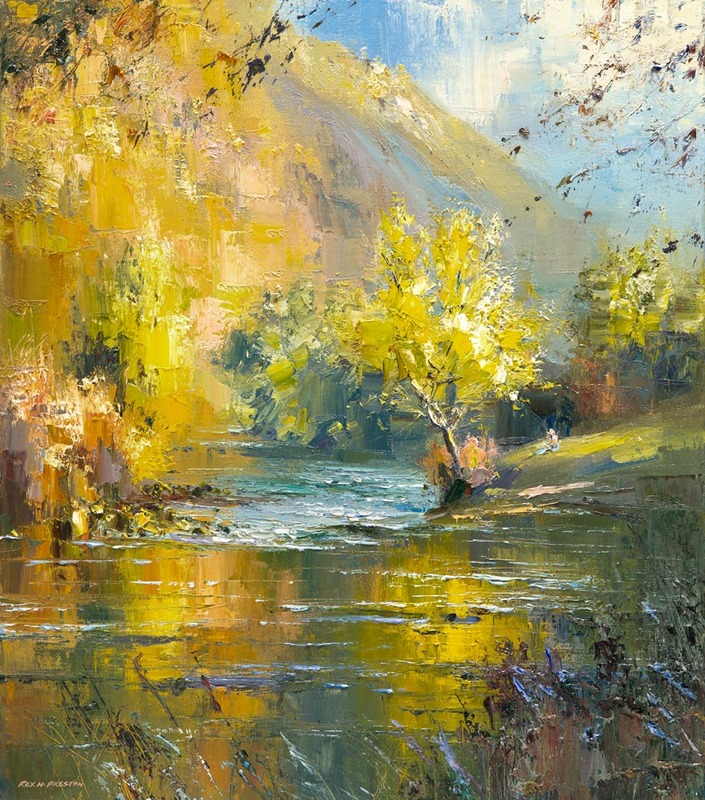 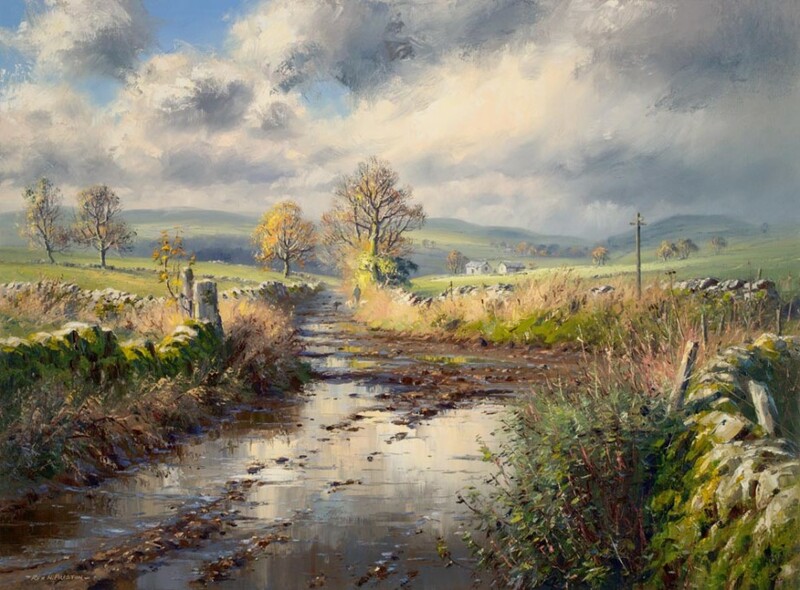 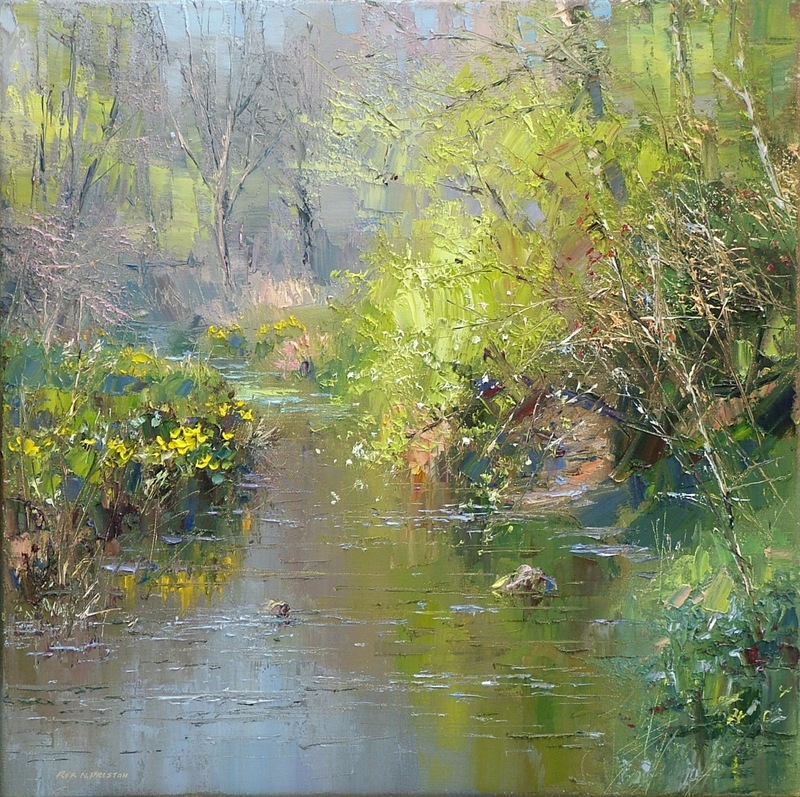 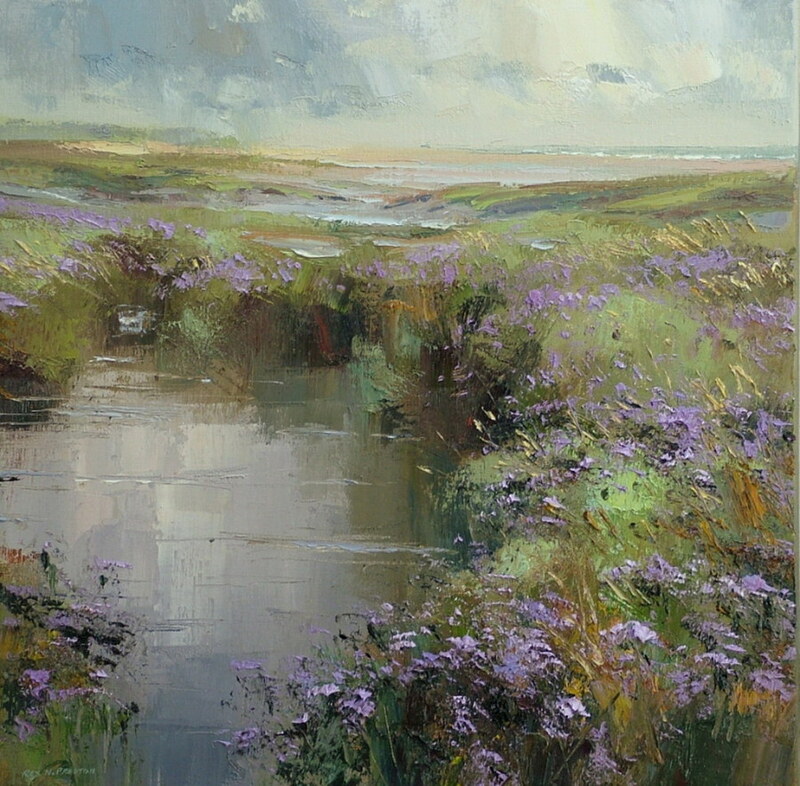 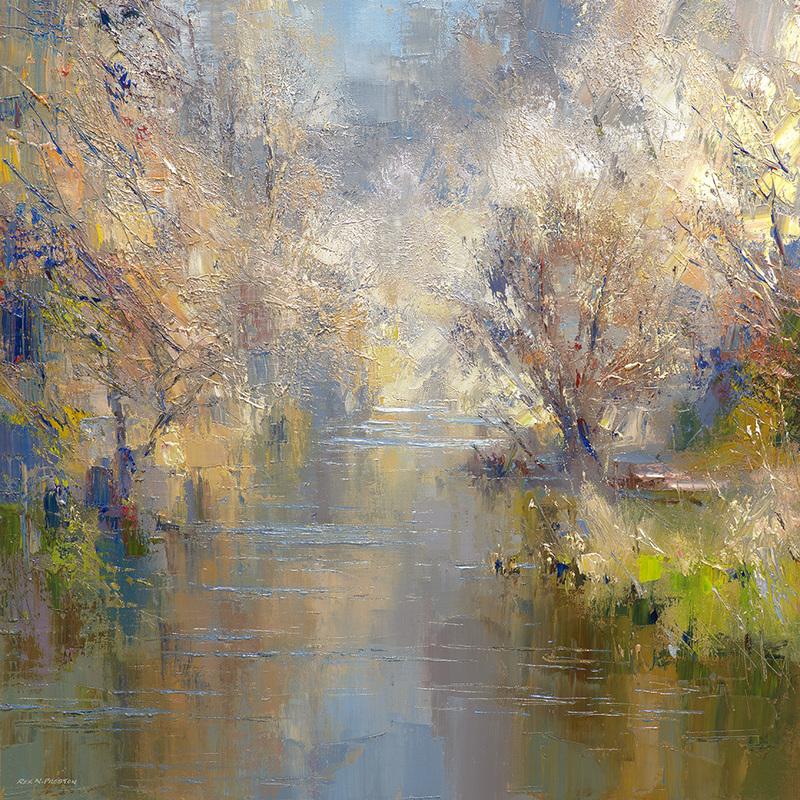 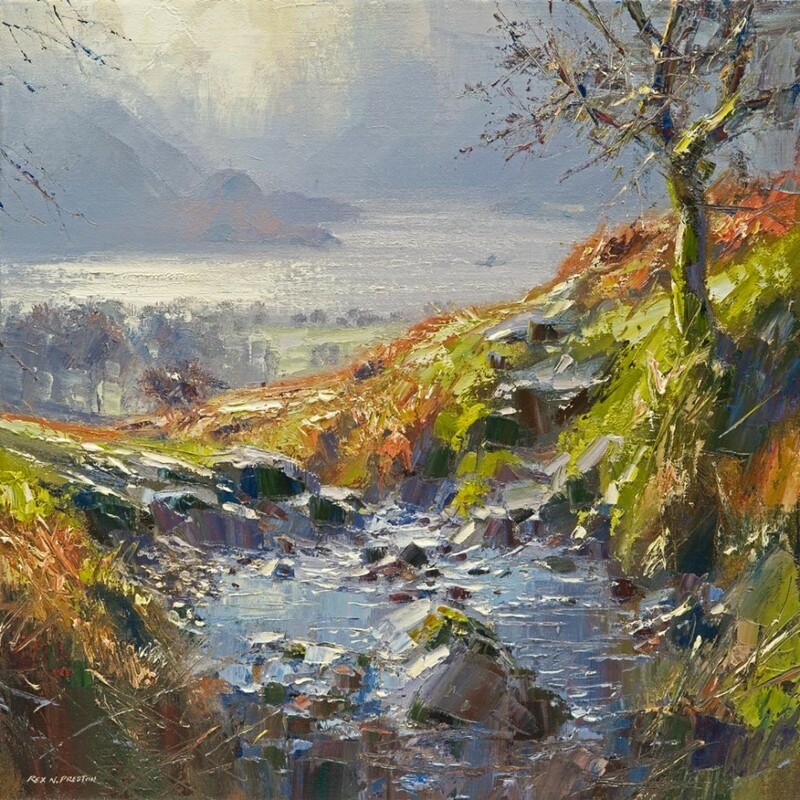 He has enjoyed the challenge of concentrating on a small part of a landscape such as the reflections in water or the sunlight coming through the clouds lighting up a small area of landscape.